Black Seed Dry Oil is a nutrient rich treatment and styling aid that rejuvenates and nourishes hair so it appears strong, thick, smooth and gloriously shiny. This ultra light formula is easily absorbed, instantly nourishing and smoothing to the hair with no residue left behind. 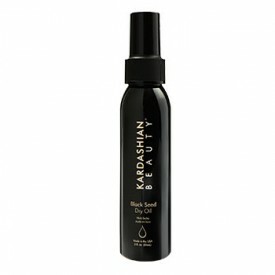 Experience the luxury of pure Black Seed Oil for the ultimate glamorous finish.